Jeff is President of Pinnacle LTD. He oversees the programming, coaching and advising activities for Leadership and Team Development. A talented organizational advisor and coach, Jeff brings 25 years of experience in developing leaders and high performing teams at all organizational levels – from frontline managers to Boards. Jeff holds two undergraduate degrees in addition to a Master’s degree in Experiential Learning. He lives with his wife of twenty years, and their two teenage children. In his spare time Jeff tries to keep up with his kids, who generally give him a run for his money. 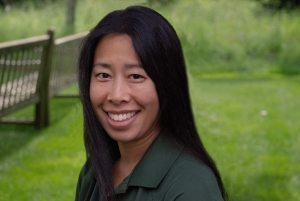 Melissa began her work in leadership development in 1994 as an outdoor educator and led groups on biking, canoeing and hiking trips in the White Mountains of New Hampshire. Since the year 2000 Melissa has worked solely with corporate clients, where her work emphasizes effective team development, clear communication skills and content-based training. Melissa’s leadership, organizational and team development, team empowerment and management trainings have served a broad range of industries from health care to school systems to Fortune 500 companies. She currently serves on the board of directors for Unlimited Possibilities, a nonprofit organization creating opportunities for people in need. As Director of LFF North Program Operations, Carol seamlessly oversees sales and bookings for all events on site and holds the Master Calendar, as well as oversees all program logistics. 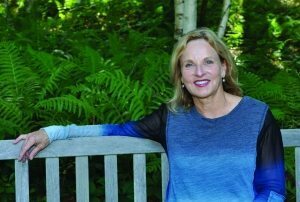 She supports the Lewis Family Foundation’s philanthropic vision by recruiting targeted non-profits to utilize Pinnacle’s property and services free of charge. Carol has been with Pinnacle since 2012. 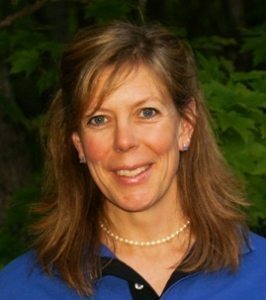 Prior to joining the Pinnacle Team, Carol was the Director of Development at Special Olympics New Hampshire for eight years. In that role, she was responsible for generating revenue through individual and corporate donations, grants and special events such as the Penguin Plunge and the Law Enforcement Torch Run. Carol holds an undergraduate degree from the University of New Hampshire. She lives in Bow with her husband and two children. Alan Lewis co-founded Pinnacle LTD in 1992 to create positive social change through leadership and team development for both for-profit and nonprofit organizations. As Chairman of Grand Circle Corporation, Alan shapes the company’s vision and direction. Over the last 30 years, he has transformed Grand Circle from a $23 million-travel company that was losing $2 million a year when he and his wife Harriet acquired it in 1985 into a global enterprise with gross sales of $600 million in 2014. The company’s reach has expanded from one office in Boston—now its worldwide headquarters—to 42 offices on six continents. Alan and Harriet also established the Grand Circle Foundation to support the communities in which Grand Circle works and travels, including some 300 humanitarian, cultural, and educational endeavors worldwide, including 100 schools, in 50 countries. Grand Circle Foundation is an entity of the Lewis Family Foundation, which has pledged or donated more than $130 million since 1981. Committed to hands-on philanthropy and volunteerism, Alan and Harriet founded a community service program for Grand Circle associates through which more than 90% of them give back to their community each year. In the last 21 years, the Foundation’s Community Service Team, led by Grand Circle associates, has donated more than 100,000 hours of service to local non-profits worldwide. The Foundation has received several honors, including Travel + Leisure’s Global Vision Awards for philanthropy in 2013 and 2010, the Hero of Philanthropy Award from the National Society of Fundraising Executives, designation as the first member of the UNESCO World Heritage Centre Partners in Conservation, and ongoing recognition as one of the top 50 charitable contributors by the Boston Business Journal. Whether through his business or philanthropic work, his mission has always been the same: to do all that he can to help change people’s lives. Harriet Lewis, Chair of the Lewis Family Foundation, is an educator, philanthropist and world traveler. She is passionate about helping guide social change and developing gutsy leaders – with a special focus on women and youths. Early in her career, Harriet worked with children facing many challenges. From this experience, she developed a strong belief that the world’s our best hope for deep and lasting com­munity transformation rests with our young people. Harriet founded the Next Generation Leaders, a program to provide rising college freshmen from Boston’s Dorchester, Roxbury and Mattapan with work, service and international travel opportunities to advance their leadership and improve their chances of suc­cess in life and college. Harriet brings an educator’s compassion and skills to the Lewis Family Founda­tion, ensuring that we “ask and listen” to the young people, their families, and leaders who live in the neighborhoods and global villages where we work. Harriet was one of the original founders of Pinnacle, along with her husband Alan and Bob Weiler. She was instrumental in positioning Pinnacle as the gate for the LFF philanthropy. Observing that most nonprofits don’t take the time to get away to take a hard look at their operations and hot issues, she knew Pinnacle would be an invaluable asset to these organizations. To ensure their support was going to strong leaders and teams, LFF requires attending Pinnacle Leadership training as one of the conditions for funding. Jim O’Brien is Vice Chairman of Kensington Investment Company. 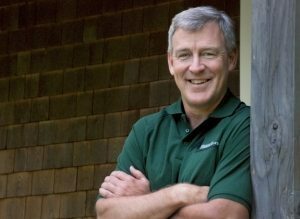 Jim joined Grand Circle Corporation in February 1995 after serving as Chairman of Boston-based General Investment & Development (GID). He joined GID in 1967 as an Apartment Manager for a 682-unit garden apartment complex and remained at the firm for 27 years, becoming President and COO in 1976, CEO in 1981, and Chairman in 1989. When he retired from GID in 1993, the firm’s portfolio consisted of 12,000 rental units in 13 states, 2,000,000 square feet of office and industrial space, a Houston-based oil and gas company, and diversified financial investments. 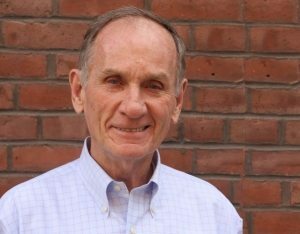 From 1980 through 1986, Jim served on the Board of Directors of the Greater Boston Real Estate Board. He also served as President of the Rental Housing Association of the Greater Boston Real Estate Board from 1981- 1982. Jim graduated from the U.S. Military Academy, West Point, New York in 1959 with a B.S. in Engineering. He is also a graduate of Airborne andRanger schools. He served in the U.S. Army Infantry, resigning as a Captain in October, 1965. During his time in the Army he held various troop leadership positions and was an Advisor to a South Vietnamese Infantry Battalion in 1964 and 1965. 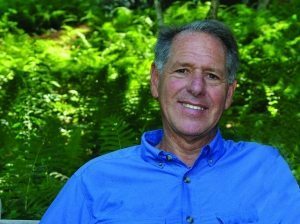 George is an avid outdoorsman with a deep commitment to experiential education, and singles out his many years as a leader within Outward Bound as one of his most important career roles. As President of Outward Bound Discovery USA, President of Thompson Island Outward Bound in Boston, and Vice President of Special Programs for Hurricane Island Outward Bound School in Maine and Florida, Mr. Armstrong was directly responsible for all operations, safety, program quality, financial management, and strategic planning. At Thompson Island he was instrumental in developing and expanding programs for young people from Boston’s toughest neighborhoods. His diverse background includes teaching at the high school and college levels, co-authoring three books on experiential education, for-profit corporate senior leadership development, and CEO of an historic museum and heirloom gardens. True to his belief in the power of the outdoors to affect positive and forceful change within a person, George is most at home when pushing his personal limits.